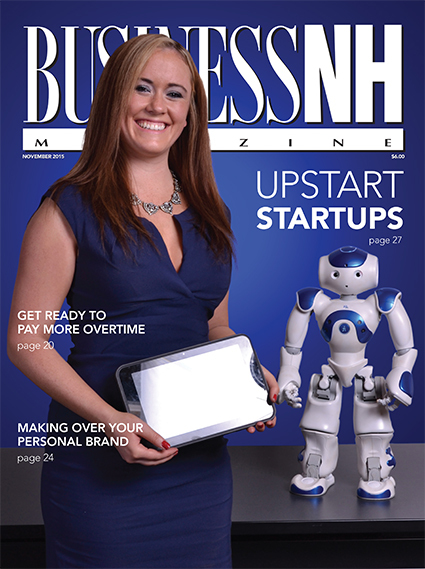 Upstart Startups – BNH profiles six startups gearing up to become the next big thing in NH. Avoiding Winter Insurance Claims – We're in for another wild winter. Find out if your insurance policy is ready. Get Ready to Pay More Overtime – Proposed rules changes will redefine who is exempt from overtime pay requirements. We explore what this will cost businesses. Regional Law Firms on the Rise – Competition for customers heats up as law firms expand their reach. But is NH being left behind? The Heidi Chronicles – Meet the winner of our image makeover and learn about her journey to develop her personal brand.